ROME (Reuters) – The real miracle would have been getting it past airport security. Inspectors at Tarbes-Lourdes airport in France refused to give their blessing to holy water that passengers tried to bring on board the Vatican‘s new pilgrim flights this week, saying it was a security threat just like any other liquid. The water, which is said to have miraculous healing powers, came from a sacred grotto where Catholics believe the Virgin Mary appeared in 1858. Passenger Paola Saluzzi told Corriere della Sera newspaper she was carrying the water in eight small plastic bottles “in the shape of the little Madonna”. But it was not allowed on board. “If they gave preference to the water from Lourdes it would be an (irregularity) that would not guarantee the proper procedure,” she acknowledged. But the Vatican had foreseen such an eventuality and placed a small complimentary bottle of holy water on the seat of each pilgrim to drink on board, Saluzzi said. The Vatican‘s chartered Boeing 737 aims to serve 150,000 pilgrims a year. Beyond Lourdes, destinations will range from the shrine of Fatima in Portugal to Mount Sinai in Egypt, where Moses is said to have received the 10 Commandments from God. I have observed in many Catholic churches in the Southwest US, less-than-artistic remnants of the ’60s, in liturgy/environment committee’s banal attempts to “decorate” for the season. These committees dumb-down the “worship space” with bolts of fabric draping the sterile, warehouse-like walls. Self-proclaimed liturgists who have no sense of the sacred have foisted their awful definition of beauty upon the faithful. Sacred art is replaced by toddler finger painting. The worst “artistic” expressions I have ever seen were several poster boards, mounted around a church, covered by a montage of magazine photos which was meant to convey a concrete message of the season of Advent. It was absolutely the worst “liturgical art” I ever experienced. Hey! Here’s a thought…how about hope-filled expectation of the Incarnation of our Salvation through prayer, sacred music, and reflection on the persons and messages of Isaiah, the Baptist, and the Virgin Mary rather than photojournalist’s images of a hummingbird? Let us allow the Holy Spirit to work through those called to lead and guide us to salvation–the hierarchy (the Pope, bishops, and priests)–rather than those who cling with a desperate death grip onto those false ideologies of a by-gone (thanks be to God) anti-authoritarian era. Also, let us pray for Bishop Serratelli as he shares his insightful understanding of the Sacred Liturgy handed to the Church by God Himself. Blessed Rev. Fr. Miguel A. Pro, S.J. Martyr and Patron for all persecuted priests. Miguelito, as his doting family called him, was, from an early age, intensely spiritual and equally intense in hi mischievousness, frequently exasperating his family with his humor and practical jokes. As a child, he had a daring precociousness that sometimes went too far, tossing him into near-death accidents and illnesses. On regaining consciousness after one of these episodes, young Miguel opened his eyes and blurted out to his frantic parents, “I want some cocol” (a colloquial term for his favorite sweet bread). “Cocol” became his nickname, which he would later adopt as a code name during this clandestine ministry. …”I’m mainly concerned that the new situation will work well for my brother in relation to his faith, and I can witness that he’s fulfilling what the good Lord expects of him and also being understood by many people,” Msgr. Georg Ratzinger said in an Aug. 17 interview with Bavaria’s Passauer Neuen Presse daily. 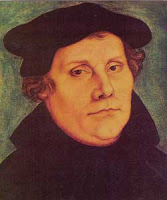 He said he was aware of recent controversies, such as debate over the pope’s July 7 document allowing wider use of the Tridentine Mass, the liturgy that predates the Second Vatican Council, and a July 10 Vatican declaration that the Catholic Church is the one, true church. I spent a nice afternoon with lunch and a movie with my priest-brothers. Remy (the protagonist) is a rat, constantly risking life in an expensive French restaurant because of his love of good food, as well as a desire to become a chef. Yet, obviously, this is a rather tough dream for a rat. 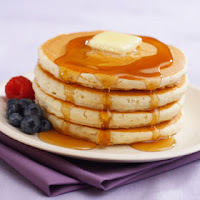 But opportunity knocks when a young boy—Alfredo Linguini (the deuteragonist)—who desperately needs to keep his job at the restaurant, despite his lack of cooking abilities, discovers and partners the young Remy. 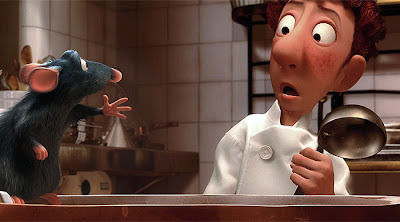 It’s up to the two of them to avoid the insane head chef, bring the rest of Remy’s family up to his standards, win his partner a girl, and, of course, produce the finest Ratatouille in all of France. 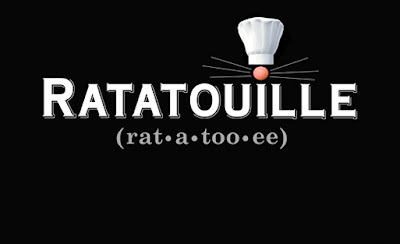 Ratatouille is a tasty French Provençal dish made from stewed vegetables. The dish is versatile and can be served with rice, potatoes, French bread or itself can be a side dish. Its main basic ingredients consist of tomatoes, onions and zucchinis. The name of the dish appears to derive from the French touiller, “to stir”, although the root of the first element “rata” is slang from the French Army meaning “chunky stew”. I had spaghetti with chicken and sun-dried tomatoes with a thick garlic sauce for lunch.